What benefits might you realize by participating in a clinical trial? An opportunity to become actively involved in your own health care. Access to the latest research and treatments before they are available to the general public. Investigational treatments may be safer or more effective than the standard treatment. Another option when standard therapy has failed or stopped working. Obtain free, expert medical care from a research team at a leading health care facility throughout the trial. 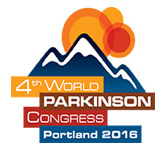 An opportunity to help others by advancing scientific knowledge and the understanding and treatment of PD. 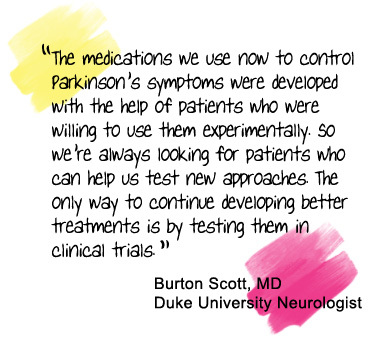 Without patients who are willing to participate in clinical trials, developing more effective treatments would be impossible. What are the potential risks associated with clinical trials? Institutional Review Boards (IRB) must approve and monitor all clinical trials that involve human participants to make sure the risks are as low as possible and are worth any potential benefits. These independent groups of doctors, researchers, community advocates, and others ensure that the rights of the study participants are protected. The investigational treatment may not be effective for the participant. New drugs under study are not always better -- and could be worse -- than the standard care to which they are being compared. New treatments may have unexpected side effects that are unpleasant, serious, or even life-threatening.